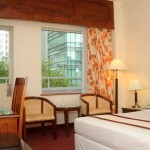 Thank you for choosing to stay with us at the Saigon Star Hotel. Below is our hotel terms and conditions, please read them carefully and acknowledge your acceptance. 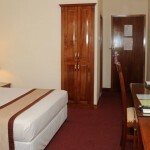 Rates are inclusive of daily breakfast, 5% Service Charge and 10% Government Tax. 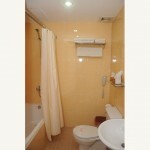 In order to have your booking’s guarantee, a deposit of 100% of booking’s amount is required. Failure to comply with full information of your credit card may result the failure of your booking. In case card holder is not the customer, hotel will require: Passport, Booking Confirmation, Procuration & photo of ID upon check-in. – Check-In: 2:00 pm – Check-Out: 12:00 noon. – 50% of one room night will be charged for late check-out before 6:00 pm. – For early arrivals and late check-out, please contact us directly (via email or telephone), fees and the availability will be informed accordingly. These fees can be paid upon check in at the Hotel. – If cancelled at least 7 days before the arrival date, no fee will be charged. If cancelled later, the first night will be charged. – For any cancellation or amendments must be made within 24 hours prior the arrival date, if not the total price of the reservation will be charged. – All cancellation or amendments need to be made via email and confirmed by the Hotel. – In case of no-show, the total price of the reservation will be charged. – All refund requests must occur within 30 days after the check-out date. • Free for 1 child under 6 years old sharing room with parents without requesting extra-bed and without breakfast (or with breakfast chargeable at about VND 88.000 net).